Underberg - Defending up and down Comrades champion Bongmusa Mthembu and his Arthur Ford team-mate Thuso Mosiea will be taking part in the SDR30, the shortest event at the Ultra-Trail® Drakensberg Festival of Trail Running from 26-28 April. 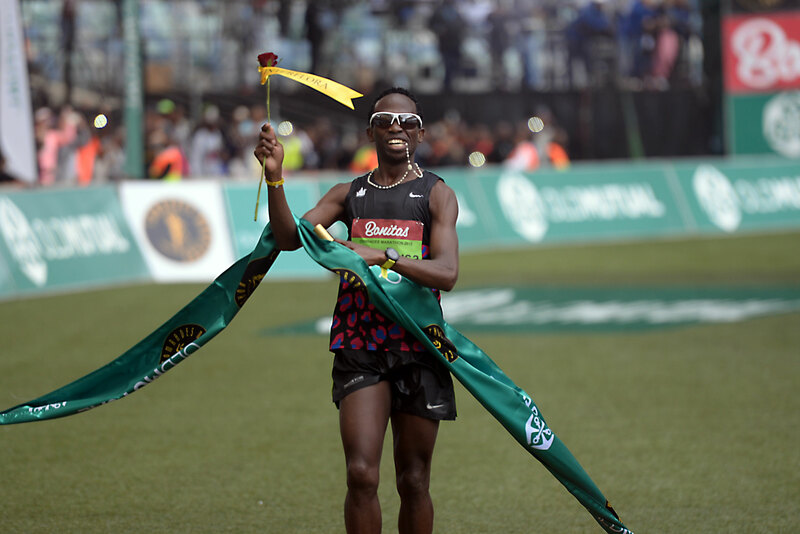 Mthembu showed his road running class when he went back-to-back at Comrades 2018 after his up run victory the year before. He has become a household name in road running circles and having started his career close to the Southern Drakensberg in the town of Bulwer he is honoured to have been asked to come and run the 30km trail run. "I am grateful that I have the opportunity to run along the trails of the Drakensberg," Mthembu said. "To have the chance to train at that altitude is always great and I am looking forward to running there because it is always so beautiful." Mthembu will be in Cape Town the week before for the Old Mutual Two Oceans Marathon so he will be in a bit of a recovery phase when he gets into the mountains which means that racing will take a back seat as he continues his build-up for a potential hat-trick at the Comrades on 9 June. "Obviously trail running is a lot slower than road running and far more technical so I will be taking it easy over the 30km. "I am going to enjoy the experience and if I have to walk through some of the technical sections then I will. There is a high chance of injury if I try and go too hard so I will be avoiding that as much as I can. "It is a good chance for me to have some fun, which I am looking forward to!" the South African 100km record holder said. Despite his dominance on the road Mthembu explains that a lot of their training is done off road. Mthembu has got clear-cut goals for the upcoming Two Oceans and with the Comrades just under two months post-Two Oceans he is happy with where he is from a training perspective at the moment. “We always go into the Two Oceans with a distance in mind and I will have to see how I feel at that distance as to how I approach the rest of the race. “I am injury-free at the moment and confident and excited about what the next few months has in store of me and the team,” he added.